I’ve rounded up all the best Black Friday and Cyber Monday deals I can find for film editors including discounts on editing related gear, post-production software and all those essential ‘must have’ gadgets to fill out your edit suite. Hopefully by bringing them all into one place you can more easily discover a bargain and share it with your pals. When it comes to Amazon’s two week Black Friday/Cyber Monday sales bonanza there are just so many deals running and for different lengths of time (some for a week, some for a few hours!) that it becomes a real chore to wade through them all. So I’ll be doing that for you, sifting the wheat from the chaff, but be sure to check back often to see what’s been added to the post each day over the coming week. If you hear of a great sale (or are running one) hit the comments to let me know! If you’re currently a little strapped for cash at the minute – fear not – you can still grab some excellent post production freebies and promo codes, year round, right here. If there’s one place to start looking for the best Black Friday and Cyber Monday deals for post production it’s got to be Amazon. This is where the motherlode of bargains are to be found with deals running from the 16th – 26th November 2018. If you an Amazon Prime customer you’ll not only get free shipping on many of these items, but you’ll also get priority access to some Prime-only lightning deals. As so many of these deals are time-limited, stock-limited and country-specific it can be a challenge not to miss out, so I’ll be updating this post every day through out the week with the best things I can find. Hopefully most of these links should take you to the right Amazon store for your country. As these deals will be coming thick and fast I won’t have time to read up on them in the depth and detail that I would in a review post, so be sure to give them a proper shakedown before you purchase. I have previously reviewed the Amazon Fire Tablet in detail here, using it as a cheap and portable 2nd screen training library, which also doubles as my daughter’s portable distraction device, for parenting emergencies. Amazon’s new smart plug is also available at an introductory price of $24.99 a pop. Working in combination with Alexa you can now control any power outlet with your voice or even remotely while you’re away. You can even set up routines and schedules through the Alexa app without needing a smart home home to control everything. So you can roll over in bed in the morning and mumble ‘Alexa, turn on the coffee’ and get your day underway. If you’re into listening to audiobooks while travelling, working or, you know, resting then Amazon have a pretty decent deal giving you 50% off your first four months. I once listened through 24 hours of audio books whilst doing a ton of graphics work on a gig once, kept me sane! After the four months the subscription will automatically renew at the higher price, but you can cancel at any time. Check it out for yourself on Amazon’s Audible page. Amazon is also running some pretty good deals on digital video purchases and rentals with up to 50% off many of the year’s best films and TV shows. Click here to have a proper rummage. You can also buy three select 4K UHD titles for $49.99 (or less! ), from a huge range of titles, including Dunkirk, Blade Runner: The Final Cut, Inception, The Big Lebowski, The Matrix, Mad Max: Fury Road, The Dark Knight, The Dark Knight Rises, Baby Driver, Atomic Blonde, The Dark Crystal, Wonder Woman, Labyrinth and many more! You can also get 3 months of Amazon Music Unlimited for 99 cents / 99 pence. This subscription will auto-renew at $7.99 a month for Prime members there after. Amazon are also offering discounts in the Launchpad section of the store. These are brand new products from smaller startups who may have raised Kickstarter or Indie Go Go dollars to get funded and it’s worth having a look for some more interesting and unusual gift ideas for Christmas. Think lots of clever tech stuff, new board games and smart solutions to daily troubles. As a quick example, these Quad Driver IEM headphones from 1MORE are 25% off ($50) right now. Also these educational robotic toys from Anki are 30% off. This fancy widget will update with Black Friday deals on the Amazon Store too. Save 33% on 15 key Elgato Stream Deck Customisable Controller – Review from me coming soon! Up to 55% off Shure headphones, microphones and DACs. Including: Shure SE215 In Ear Monitors (usually $199) for $89 and $50 off Shure SRH840 Pro Monitoring Headphones. Ultimate Ears BOOM 3 Portable Bluetooth Wireless Speaker – Save $20. A good gift for anyone you who you just don’t know what to get them! Amazon are running their Cyber Monday week of deals, with some decent money saving offers to check out too. Although it’s worth clicking through any Black Friday Deals that catch you eye listed above as many of these ares still running! $100 off Samsung X5 Thunderbolt 3 SSD drive and more savings on other Samsung SSD drives. Save 40% on tiny Nonda USB to USB-C adaptors, now under $7 – Buy at least a couple of these if you have a new Macbook Pro! Prime Member Only Deal – Rent Won’t You Be My Neighbour for $2.99. You can sign up for a 30-day free trial of Amazon Prime here. When it comes to some of the best post production software, hardware and online services for film editors, there are plenty of opportunities to save some of your hard earned cash this Black Friday. I’ll update this section of the post as more details become available and offer codes appear online but to get us started I’ve based this year’s list on last year’s final Black Friday Deals list, with the assumption that many of the same companies will be running a Black Friday/Cyber Monday sale. So check back regularly to see what’s new and if your favourite company is running a sale. Hedge – My favourite file back up and verified transfer app (review here) has been kind enough to create an exclusive Black Friday deal for my readers. Their Black Friday store currently has 30% off individual apps and 40% off bundle deals from November 23rd – 26th, which delivers some fairly massive savings, including nearly $200 on their ‘full monty’ bundle. However, if you use the code: JONNYHEDGE or JONNYHEDGEBUNDLES you will automatically be entered into a prize draw to win one of 10 full refunds on Friday 30th! Each product is a separate entry, so if you purchase Hedge + Checkpoint + Canister, you have 3 entries into the draw. Inside The Edit – 50% off all memberships with the code ‘BFJ18’, starting at noon on Thursday 22nd through to noon on Tuesday 28th November. Plus new tutorials and content are coming early next month! An annual membership (already including 2 months free) will get you access to the new content and save you £200 (approx $250) if you purchase before the end of the Black Friday sale. Check out this previous review for more details and free sample lessons. Masterclass – My absolute favourite site of 2018 are running a Buy One Gift One promotion, which means if you split the cost with a friend you can get a year long All-Access Pass for half-price! Check out my All-Access Pass review here. This is their first ever Black Friday deal and it will run until midnight (PST) on November 23rd. 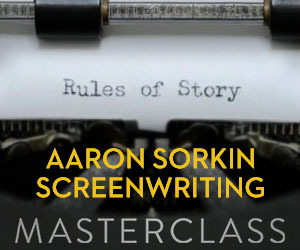 If you already own a single Masterclass course you can upgrade for just $90 to the pass and still gift a pass to a friend – so if you split the cost that’s only $45 for $180 worth of expert teaching! FilmConvert – Enjoy 40% off the normal price of FilmConvert’s superb film emulation plugins for Adobe Premiere/After Effects, FCPX and Media Composer (previously reviewed here), during Black Friday week. If you miss the sale, my referral link will save you 10% year round. Rampant Design Tools – is offering a huge 60% off sale on their individual digital products with the code ‘BEST SALE’, but there are also some great value bundles such as all 42 Rampant Style Kits for just $99 (usually $798!) to be had too. Rampant’s excellent products include lens flares, light leaks, film grain, animated transitions, mattes, glitch effects and so much more. It’s a HUGE store. Artlist.io – My current favourite royalty free production music site are offering an extra 2-months free (14 months for the price of 12), as well as 50 free sound effects to download. until December 9th. The free sound effects include whooshes, impacts, beeps and glitches, ambience and specific foley and effects. LearnColorGrading.com – Alex Jordan, the DaVinci Resolve trainer behind LearnColorGrading.com, is offering a massive bundle of 7 DaVinci Resolve colour grading courses, his popular VIVID LUT pack (200 x 3D LUTS) and his DaVinci Resolve practice footage for only $97. That’s a $600 saving! I’ve often included Alex’s free YouTube tutorials in my DaVinci Resolve round ups, and he has a very clear and practical teaching style, so it’s a great opportunity to save on some easy to apply training. Adobe Creative Cloud Subscriptions – Save 25% on ‘All-App’ Creative Cloud subscriptions and 70% on all Student and Education subscriptions. In Europe you can save 40% on All-App subscriptions. All deals run until the 23rd November. Ripple Training – makers of excellent ‘industry-standard’ video tutorials are offering 30% off their entire catalogue from November 21st till November 28th. 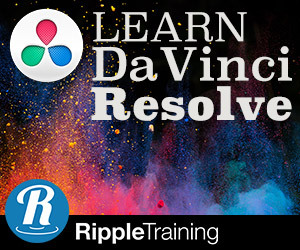 Ripple Training’s new DaVinci Resolve 15 Advanced Colour Grading course is also the only Blackmagic Certified training available online. Check out these posts for free tutorials, reviews and more details: FCPX Training | DaVinci Resolve Training. Divergent Media – Makers of the very useful EditReady2 and ScopeBox are offering 40% off any product with the code ‘zeroIREfriday‘. The sale runs from November 22nd – 26th. Color Grading Central – Makers of Cinema Grade, Color Finale Pro and LUT Gallery, plus some nice looking LUTs, have a 50% off sale on both their DaVinci Resolve colour grading training and products with the code ‘blackfriday2018‘. They won’t be having another sale until NAB 2019 (5 months away) so if you want to save, do it before midnight on Cyber Monday US Eastern time. Artic Whiteness – Are offering 30% off their excellent FCPX app FinalCutLibraryManager, which helps manage all your Libraries in one place, only until the end of Cyber Monday. B&H have savings on Apple products, for example you can save $100 on a Mid 2018 Apple Macbook Pro 15″ laptop here. Check out my detailed post about the latest Apple laptop here. Digital Rebellion – Save 30% on all of their incredibly useful post production tools from now until December 2nd 2018. Popular tools like the Pro Maintenance pack are only $99 (down from $129). BorisFX.com – Are offering a massive 50% off all bundles, for example the ‘buy-everything’ bundle of Sapphire+Mocha Pro+Continuum is only $447.5, and 25% off all individual products. ToolFarm.com – A giant online warehouse for post production software, you can save on products from Video CoPilot, Maxon (Cinema4D), NewBlueFX, Avid Media Composer, Coremelt, iZotope Audio and many more, this page will be updated daily. FX Factory – A massive range of 3rd party plugins and effects for all your favourite NLEs are now 20% off until November 28th. Lutify.me – All of their products are 30% off until midnight on Saturday 24th November, also if you purchase during the sale you’ll get their up-coming LUT Previewer as a free upgrade in December. CineGrain – Are running a 50% off sale on their high-end film grain and LUT packs. This includes 50% off their new, $999, Pipeline tool, which delivers precision film emulation in an ACES pipeline. Sensel is offering $100 of their Sensel Morph, which is a really unique customisable pressure sensitive pad that can pick up the bristles on a paint brush (for real paint strokes in photoshop) and withstand the pressure of a drum stuck hit. There are numerous overlays including a Premiere Pro configuration (review coming soon! ), a full QWERT keypad, piano keyboard and DJ mixing/drumming layouts. LearnSquared – Are offering 40% off all of their high-end video training, with courses such ‘Production Concept Art, HUD Design and Animation, World Building and more! The sale starts Black Friday and ends on Cyber Monday. CreativeLive – You can save 60% off CreativeLive’s Trending classes from today through to November 21st. Their training archive covers a huge range of topics such as UX/UI Design, Entrepreneurship, Portraits and much more. New classes are added every other day. Rocketstock.com – Have big savings on their library of video packs, including light leaks, flares, particles, water, dust etc. The Lucent Zoom parfocal lens flare pack is $99 (from $179). LensDistortion.com – Used by a high calibre of studios and big name brands, you can make substantials savings on their sound effects, lens flares, video effects and more. Worth a look! The Foundry – Get 30% off the cost of Modo (3D modelling, texturing and rendering) from noon on Black Friday to noon on Cyber Monday (PST). TimeInPixels – Are offering up to 30% off their DaVinci Resolve colour grading plugins from Black Friday through to Cyber Monday with False Color (30% off), Nobe Display (25% off) and Nobe Color Remap (15% off). MotionVFX.com – Save 25% on every and any MotionVFX plugin, template or product on the site with the code ‘Black25‘. I recently reviewed the excellent mFlare2 plugin here. MacHeist – Are offering 96% off their 10 app bundle deal this Black Friday, that’s nearly $700 worth of software for only $25! You can check out last year’s round up here to see the kind of deals from many other post production companies who ran Black Friday sales too. 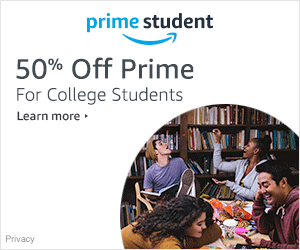 There are usually a lot of Amazon Prime Early Access deals to be had so sign up for a free trial to take advantage of them here. Be sure to check in on the Black Friday Deals list for more savings on existing deals and the section below for post production brands offering big discounts! Frame.io – “Upgrade to a special Starter plan with 3 projects, 10 GB of storage, 10 collaborators, and 5 team members for just $9/mo. Better yet, when we release updated storage to all paid plans in February, you’ll get a bonus 240 GB completely free. That’s a value of $90/mo for just $9/mo – over 70% off list price.” Unlock This Deal. Misterhorse.TV – Makers of the excellent and free Animation Composer are offering 25% off all their products, and revealing a whole new product 2D Special Effects. The sale runs from 26th – 30th November. iZotope – Are offering a whopping 70% off their ‘award winning’ audio plugins until Friday. Red Giant will be running their usual end of year sale on December 4th (only! ), giving you a massive 40% off every product. This includes full suites (or upgrades) for products like the new Trapcode Suite 15, PluralEyes 4, Magic Bullet Suite, Universe plugins and many more. Click here to see their full product line up. Found a deal – share it in the comments! If you find a post production related deal online that you think other editors, colorists and DITs might benefit from then hit the comments and share the love! Marc Wielage emailed me to share this cracking deal he spotted on BestBuy.com. You probably need to sign up for ‘early access’ to get the deal, but that’s free to do. Marc is a highly experienced colorist who was interviewed about his craft over on Mixing Light.com in this fascinating interview. BLACK FRIDAY | Save a third on X2Pro and X2Pro LE for a limited time only! #BlackFriday has come early! Register today or by Friday, November 23, using the code FRIDAY200 and receive $200 off the standard price. This fancy widget should also update with some related products and links to Black Friday deals on the Amazon Store too. The absolute cheapest solution for getting your hands on a full blown full featured insane controller for Blackmagics Davinci Resolve. Available for Arturia Beatstep and Akai APC40 midi controllers (Mac only !). I’d love for you to move the “consumer” stuff like the fire HD or the movies/media at the end. I can see the ‘consumer’ stuff like that anywhere. Hey Jeff, thanks for the feedback. There is a link at the very start of the article that will jump you down to the post-production only deals, so if you check back in the next couple of days, just hit that. Any other recommendations on the best tools on sale? Johnny, this is an excellent list! In terms of sound assets for editors, there are 100s of sound libraries on sale here till Nov 27: https://www.asoundeffect.com/massive-sound-effects-sale/- and any order during the sale comes with 1 month worth of free access to 10.000 sound effects in the cloud too.